Go early, take water, pack your patience. Knee pads for those aching knees. Be ready to find your own fossils. We had a great time looking for fish fossils with George and Fossil Safari. Highly recommend taking a trip to check these out! We visited Kemmerer last July on our way to Yellowstone. We were with our grandchildren who wanted to go fossil hunting and, after much research, we picked Fossil Safari. We decided to dig for 2 hours which was plenty of time to find beautiful fossils. George showed us where and how to find the fossils. He was very patient and answered all our questions. He also showed us how to pack them for the long trip home. 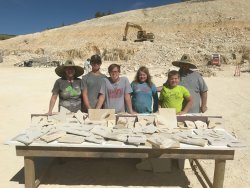 Our whole family loved this fossil hunting adventure. 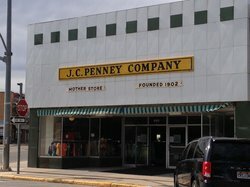 This was the first place I had visited when looking for fossils. The staff showed you how to split rock and find the fossils and then it was a free for all. Spent the better portion of a day packing fossil packed rocks off of the high wall and splitting them. Fossil Safari - a MUST do!! The quarry is down a series of long country roads - make sure to print the directions from their website as they are very helpful! We truly enjoyed ever aspect of this adventure - there are fossils abound and it was run by a very nice gentleman who is living his dream. He helped show us how to break open the rock and what to look for. When you find your first fossil - step back and take in the enormity of it all. 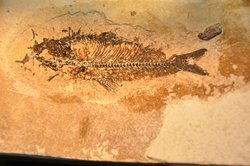 You are the first person to see this fossil in 30-60 million years - amazing! We did it a little over 2 hours - but could have stayed much longer! We will be back! Wear close toed shoes. Bring water, sunscreen, snacks, and perhaps some wet wipes (to clean up) and a change of clothes (you will get very dusty). And go to the bathroom before you get there - unless you have a love for outhouses. Go - this will be something you and your family will talk about for years! It is also called Fossil Safari. It is down a dirt road but well worth the drive. I didn't know what to expect but had a blast. We had 4 kids under the age of 11 and thought only the kids would like it but the adults really got into helping the kids. It is $30 an hour for adults but kids are half price. We found so many fossils - some of the them were frameable. Make sure you bring hats, sunscreen and lots of water. Knee pads or a gardening pad helps a lot. We also had big Grover buckets and that was helpful. 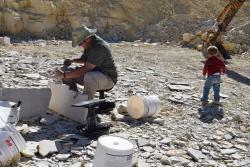 After you get done finding some, there are rock saws available to trim out just the fossils. Amazing to think that the fossils are 50 million years old and you are the first ones to see them. There is also Fossil Butte National Monument in the area. It is amazing. I recommend going there first. You will learn how to identify where a fossil might be and will help you not to waste time at the quarry. The Monument is free and has a lot of things for kids to do. The Junior Ranger program is a great thing for the kids to do and they get a patch if they complete it.